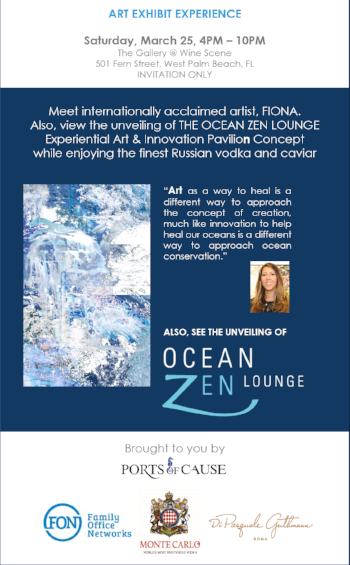 An experiential art exhibit honoring the oceans and the earth with a discussion on Sustainable Luxury and the Blue Economy. On the day before one of the top five boat shows in the country, the Palm Beach International Boat Show, Ports of Cause, hosted the ivyFON Family Office Network Forum at the Esperanté Corporate Center, a LEED Gold Certified facility. The full day event included a welcome introduction by Active Interest Media CEO and Show Management President, Efrem "Skip" Zimbalist III, and a special presentation by Joi Scientific Chairman and CEO, Traver Kennedy, unveiling his company’s revolutionary solution Hydrogen 2.0, the affordable and abundant alternative energy source applicable to cargo vessels, super yachts, and beyond. “Oceans play a central role in what we do at Joi Scientific, and I'm honored to share with the yachting community our efforts to bring about a blue economy,” said Traver Kennedy, Chairman and CEO of Joi Scientific. “Our mission to make sustainable Hydrogen 2.0 energy available to all is centered on water. In fact, our underlying technology was inspired by the natural processes that release hydrogen from the oceans. 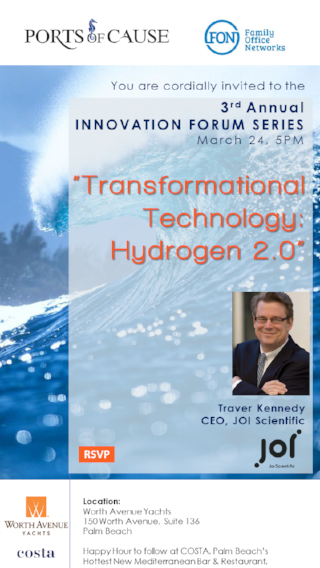 Joi Scientific’s participation in POC forums like this one, where people who love the sea, work hard to conserve it and share their ideas, is vital to our innovation efforts around powering all kinds of seafaring vessels with clean and affordable hydrogen energy." Immediately following the forum, the ivyFON group headed over to the Rybovich Marina and Shipyard in Palm Beach, Florida, for a special VIP private tour. Francois van Well, VP of Business Development, led the tour and shared owner, Wayne Huizenga Jr.’s, future development plans for the facility which will allow Rybovich to double its service capacity as one of the largest superyacht providers in the world. Clear Yacht International and Ports of Cause's core team of Joyce Clear, Victoria Cerrone and Ron Beilman attend the Bloomberg Conference RI Americas 2015, in New York City. Clear Yacht participated in the invitation-only Ecological Debate and Conference aboard the 76.6m Explorer M/V YERSIN, where forward-thinking yacht builders, architects and designers gathered to discuss a variety of ecological solutions in yacht design and the possibility of integrating them on a larger scale. The Owner of M/V YERSIN presented his project, “A.S.E.” (Adventure - Science - Education) during the show. This transoceanic vessel has a range of 12,000 miles, translating to 50 days of total autonomy andecological independence while at sea. She accommodates up to 20 passengers as well as 20 crew in total, and works with researchers and scientists from all over the world towards preservation and conservation. 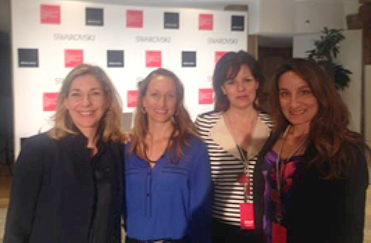 Joyce Clear was proud to be a panelist at the Boat International Design Symposium for Sustainable Yachting. Along with a discussion on computational sustainability, sustainable yachts and the state of our oceans, Joyce focused on the topic of sustainable solutions. She discussed how sustainability stimulates innovation which yields progressive products and new revenue streams, ultimately providing the industry with an opportunity for leadership in the world. She also discussed how sustainable products and processes have proven to result in higher levels of quality, efficiency and well-being without compromising aesthetics or the luxury lifestyle. Many fresh and innovative products used for the interior of yachts were also highlighted. Joyce Clear, on behalf of her non-profit, Ports of Cause, organized a break-out session panel for Sustainable Yachting at the first Superyacht Summit at the Palm Beach Boat Show.